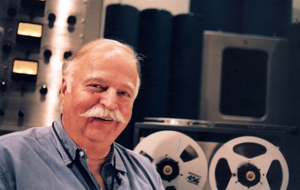 Bruce Swedien had recorded and mixed Thriller in 1982 and by 1987 he was still the top recording engineer in the world. During the time Thriller was being made, I was graduating from college, my second masters degree, this time in physics, prior degree was Mechanical engineering/acoustics. I couldn’t get a real job, had 3 wonderful kids and ended up working in the city sewer, stringing and pulling an inspection video camera through the pipes. It was a good job and it was warm and out of the rain down in the sewer manholes during the cold winter of 82-83. And in my spare time I was inventing the TubeTrap in my basement. TubeTraps started in 1984 and had become a very popular product in the world wide audio market within a couple years. By 1987, we were in our second, and better, factory space. In 1987, Bruce was interviewed in Mix Magazine and I read the article. I was mesmerized by what I read. Between the lines, I realized that he could see sound. I could tell from the words he used and the way he chose to use them in sentences that he could see sound. I didn’t know anyone who could see sound. I had spent many years trying to develop the ability to see sound by intensely studying nothing but acoustics, engineering and physics. Here was Bruce Swedien, a sound seer. As silly as I felt on one hand to write someone being interviewed in a magazine, I couldn’t help myself. I determined I had to write to Bruce and introduce him to the QSF, the Hass saturated acoustic space that had been discovered through experiments with TubeTraps by many big name studio engineers just a few years earlier. Back in about 1986 when there were big studios and big engineers, they didn’t fool around. They heard about some new acoustic widget called the TubeTrap. They called up and ordered one or two pallets of TubeTraps. They didn’t want to solve a problem, because big world class studios didn’t have problems. They were already, by definition, the best studios in the world. But still, their engineers were curious and they had the budget which allowed them to satisfy their curiosity. It took about one week after the pallet of TubeTraps arrived that I’d get a call, usually late at night: “Wow, just had to tell you, we were fooling around and we came up with this tremendous recording space….” I got so many of those calls. I interviewed every engineer in detail, took notes and drew up what they were talking about. I set up and replicated their setup each time. They all did the same thing, exactly. Each one of them used TubeTraps to discover what we now call the QSF, a reflection saturated recording space, a new recording technique. 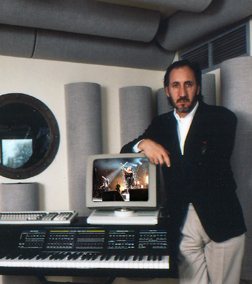 Bad was recorded in 1987 in a big name studio in LA. TubeTraps were used in that recording. I was in a studio once, helping to install TubeTraps in the corners and actually watched the studio engineer, who was micro managing the installation, forget what he was doing and discover the QSF by himself at the foot of my ladder. He bolted those TubeTraps into the floor in the QSF pattern and claims to have done 2000 BiMart commercials in his QSF. I adopted the QSF and resolved to not forget what or take for granted what had discovered. I set it up and heard it for myself many times and I experimented with it. I measured it, studied it and tested it and figured out what was going on. 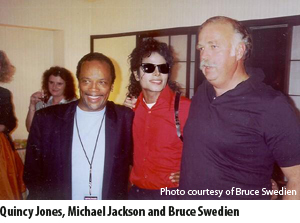 Now I was determined to tell Bruce, the recording engineer for the Michael Jackson Thriller album about this discovery. Back to Bruce. So I write Bruce a letter. I apologize for barging into his time. But that I had just read his interview and I was so taken with his obvious ability to see and track sound that I just had to describe this discovery, a new mic technique, and I asked if he might be willing to audition the QSF system. He called back, he’s old school, always calls if he has anything to say, and in his deep booming voice, he called me Artie (my name is Arthur) and told me that he’d love to try the TubeTraps out. And he’s called me Artie ever since. The only other person I ever heard that word from was my aunt, my father’s older sister who always called him Artie.